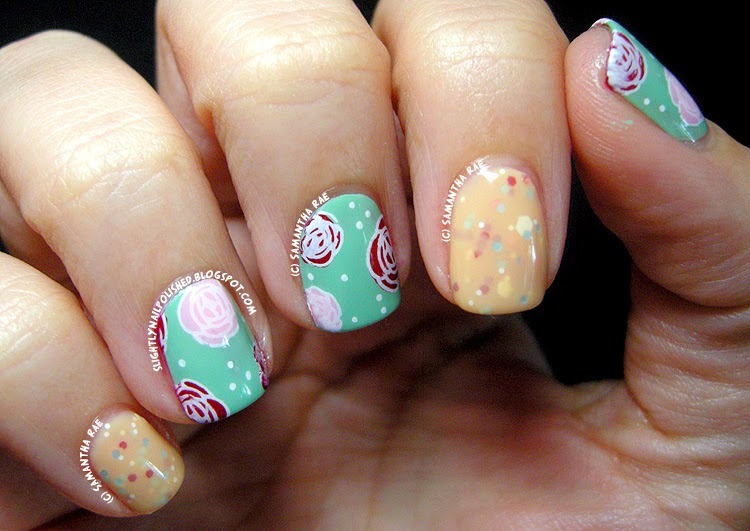 Slightly Nail Polished: Parchment & Lace Flowers! Okay, I'm done bragging about where I live. I'm sure you're all sick of it. Today I have a design to share with you that's from my archive folder! It's getting a little full, so I thought I'd share one with you today. Sounds good? I hope so. Now, this one isn't that old. It's from early March. I was inspired by the colors in this wonderful indie polish, Parchment & Lace by Spellbound Nails. 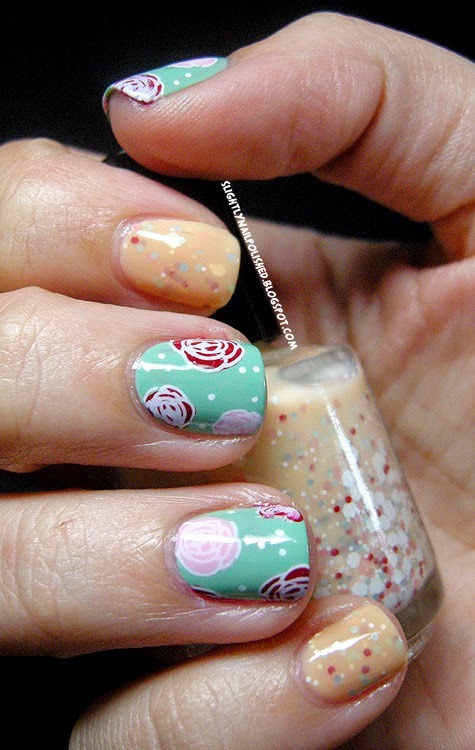 I love the subtle green, red, pink and white glitters in the yellow base. 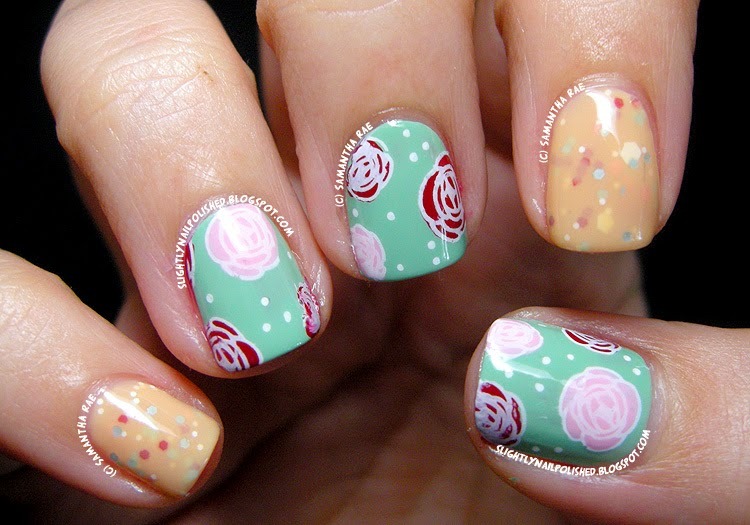 And being on a floral kick, I decided to so some flowers! The flowers were stamped, using a floral image from my Cheeky Jumbo Plate 7 "Home Sweet Home". 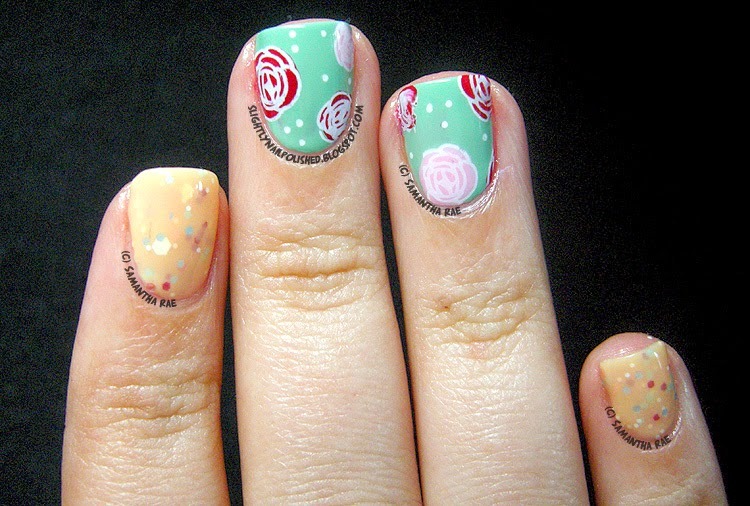 I them filled them in on the stamper, picked up the single flowers with some tweezers, then placed them on the nails individually. 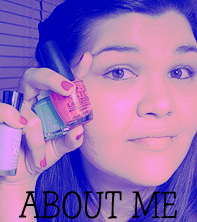 I then filled in the empty spaces with my Sally Hansen Nail Art Pen in white. I had a little bit of a mishap with one of the flowers on my ring finger. I don't remember what happened, exactly. I think I bumped my finger after I applied topcoat and didn't want to redo it. I hope you like the design. ^_^ Thanks for stopping by! Flowers: Cheeky Jumbo Plate 7 "Home Sweet Home"